The Bath Iron Works-built USS Michael Murphy, an Arleigh Burke-class destroyer, left Bath in September 2012 and was commissioned in October 2012. Bath Iron Works officials expect to hear by Tuesday how many of the DDG 51 destroyers will be built in Bath during the next five years, and how many will be built at Ingalls Shipbuilding in Gulfport, Mississippi. 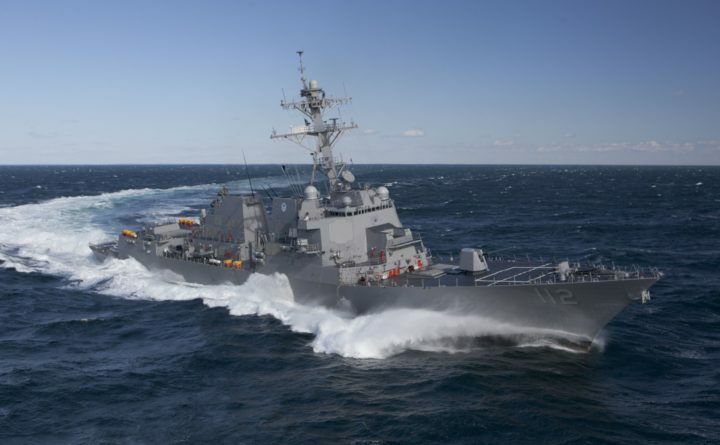 The U.S. Navy announced Monday that it had awarded Bath Iron Works a $126 million contract to continue providing planning yard services for the Arleigh Burke class of destroyers. The contract, for one year with four option years, could potentially be worth $719 million, according to shipyard spokesman David Hench. Planning yard services include design, material kitting, logistics, planning and execution. The majority of the work will be performed in Maine. Bath Iron Works also manages post-delivery maintenance and modernization for the three Zumwalt “stealth” destroyers and the class of shallow-water littoral combat ships.